SAS120 is ideally suited to interiors requiring frequent cleaning regimes or an economical solution to secure void access. Clip-in systems allow for upward cleaning pressure without dislodging or displacing tiles. If required, voids can be secured through the use of a simple clip mechanism. Hospitals and food preparation areas are ideal examples of appropriate environments, however the system is suitable for numerous applications. 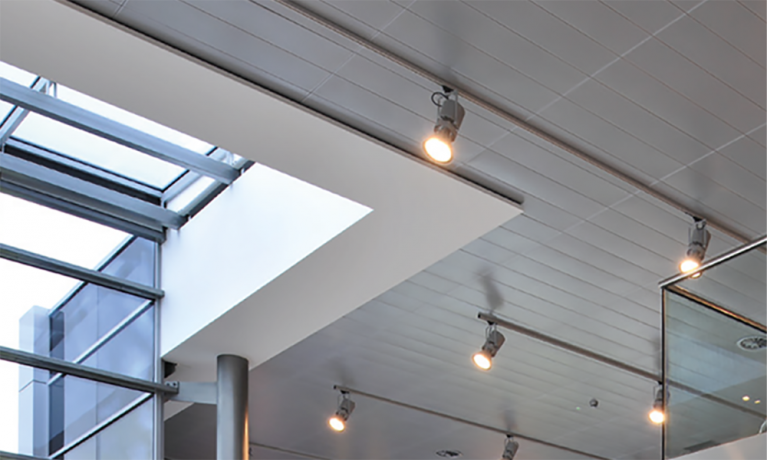 SAS120 is a suspended metal ceiling system with clip-in modular tiles and concealed grid. 300 x 300 | 300 x 600 | 300 x 900 | 300 x 1200 | 300 x 1500 | 500 x 500 | 500 x 1500 | 600 x 600 | 600 x 1200. Bespoke module sizes and shapes are available on request. Downward Demountable – The void is accessible with the use of a simple tool. Optional security clips are available. Antibacterial or bespoke finishes are available on request. Typically supplied with 1522 , 1820 or 2516. 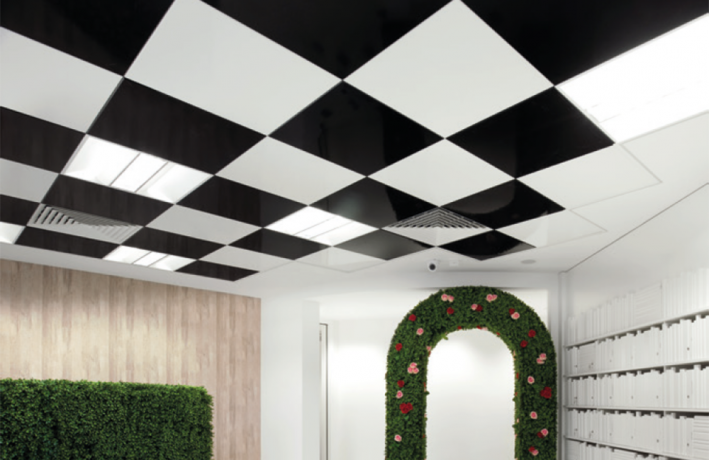 Bespoke perforations are also an option. 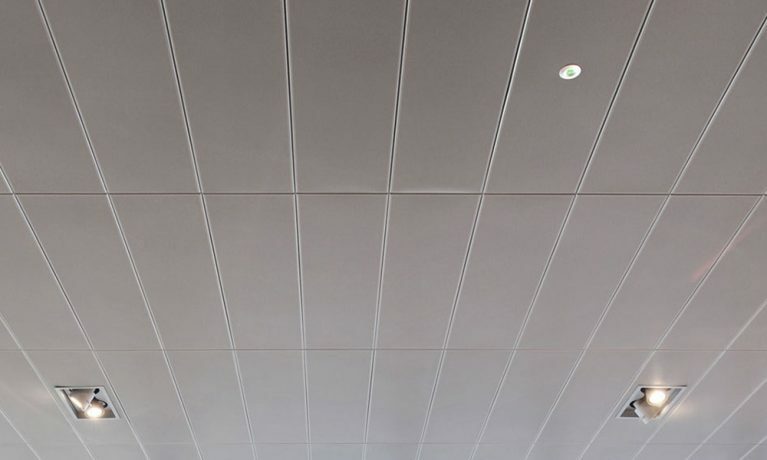 Tiles can be formed with apertures during manufacturing and post painted for integration with lights and other services. Please note SAS120 tiles will support loads up to 2.5Kg. Pattresses can be used to support loads up to 6Kg. Anything in excess of 6Kg requires independent suspension.